The arts are essential to any complete national life. The State owes it to itself to sustain and encourage them. Framing the arts and culture as elitist and unnecessary is nothing new, but the currently touted message that these four organizations are merely remote, federal agencies transferring funds from the poor to the wealthy to fund a smattering of artists creating questionable work is disingenuous at best. The following information is intended to assist in a better understanding of what these organizations are doing for people of all income levels and all races and religions, in every corner (and congressional district) of our country. As you peruse the scope and the national reach of the work outlined below, consider that the NEA, NEH, CPB and IMLS function for the modest combined cost of approximately 1 billion dollars, amounting to .09 of the total discretionary budget for 2018, not including any of the mandatory budget. If the numbers don’t sound modest, put them in context: President Trump is simultaneously asking for a $54 billion dollar increase in Defense and Military spending. A 2013 news release from the BEA announced that 3.2 percent, or $504 billion of the current dollar GDP (Gross Domestic Product) in 2011 was attributable to arts and culture. In comparison, the estimated value of the U.S. travel and tourism industry was 2.8 percent of GDP . A second release in 2015 announced that number had increased to the tune of $25.8 billion in 2012, accounting for 4.3% or $698 .7 billion of the GDP, a contribution greater than either transportation or construction. By keeping our citizens literate and well-versed in the humanities and the arts, the four institutions currently under attack provide the solid foundation upon which the nation's massive arts and culture infrastructure stands. 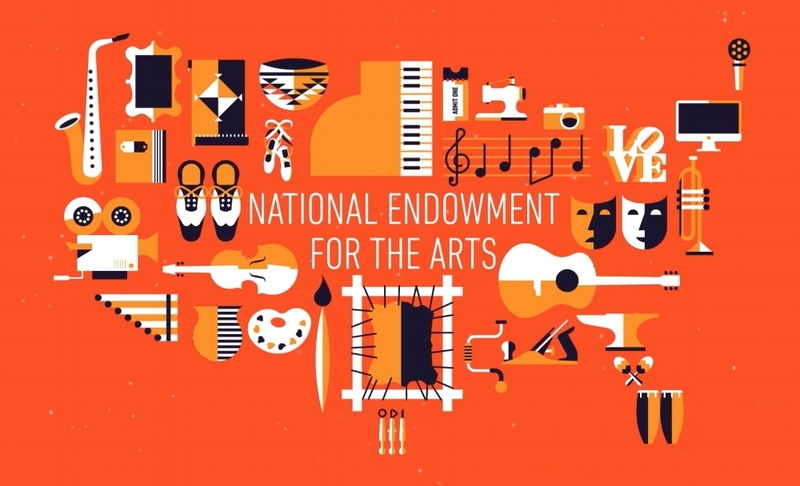 State and regional arts councils across the United States receive 40% of the National Endowment for the Arts’ annual budget to use at their discretion. Last year, NEA grants were awarded in every congressional district in the country. One of the agency's primary goals is to provide fair access to arts resources across the country. Rather than cultivating a particular artistic or political agenda, their job is to assist the states in organizing efforts to achieve their own goals, based their own policies and priorities. It is a great model of how the federal government can work effectively with state government. NEA funds undergird the state, local and private funds that support libraries, museums, theaters and educational entities. Its grants bring music and theater groups and programs to schools in our inner cities and rural communities. Without NEA support many museums and community theaters across the nation, but particularly those in poorer or rural communities would be forced to close their doors. This work is indispensable to the students and families in these communities, and to the welfare of our nation. It has been consistently proven that students with an arts rich education regularly score better on standardized tests in reading and math, have lower dropout rates and better grade point averages. The funding issue with the NEA isn’t merely the loss of the budget, which amounts to approximately 148 million (and .004% of the total federal budget for 2016). Arts institutions across the nation leverage their annual federal funds to obtain matching grants and funding from private, state and local sources. In 2015 this meant an additional $500 million. Founded in 1965 in the belief that governmental investment in culture is as important as its investment in science, the National Endowment for the Humanities’ $146 million-dollar budget is intended to help make humanities education, research and lifelong learning readily available across the nation. Decisions on the assignation of grants are made by the peer review of teams of academic experts in fields such as history, literature, philosophy and related disciplines. As we have moved into the information age, the NEH has been a consistent advocate and pioneer of digitization, assisting in the digitization, and thus public dissemination, of everything from Celestial Cartography, to oral history interviews on the Civil Rights Movement in Mississippi, to the preservation of national newspapers and the writings of the likes of George Washington and Albert Einstein. Grants from the NEH have facilitated the publication of close to 8000 books, dozens of which have received Bancroft and Pulitzer prizes, and since 1967, more than 84 thousand teachers responsible for more than 11 million students have attended NEH summer seminars and institutes. CPB supports the operation of nearly 1500 locally owned and operated public television and radio stations nationwide. Costing Americans a total of $1.35 per citizen a year, the organization is reknowned for supporting diverse programs and services which serve the needs of underrepresented audiences, especially children and minorities. Rather than favoring any particular agenda, the CPB’s role in public media is to shield the stations it works with from political influence, and to deliver federal support in a way that does not affect a station’s ability to operate independently. IMLS supports the full range of our nation’s 123,000 libraries and 35,000 museums. Really, that’s enough, isn’t it? IMLS facilitates access to resources and resource sharing in libraries and museums as well as innovation in museum and library services and conservation practice. Their programs facilitate early learning as well as learning that is inclusive and accessible to all ages. IMLS works towards the creation of digital tools and platforms to broaden access to both library and museum content for all Americans. The organization also advises the President and Congress on plans, policies and activities to sustain and increase public access to information and ideas. I have argued in the past against the insistence that humanity somehow scientifically quantify the benefits of the arts, yet as I worked on this article today, I found myself hearkening back to several studies I have happened upon in recent years, which indicate that for the first time, should such a thing be required, it is becoming available. 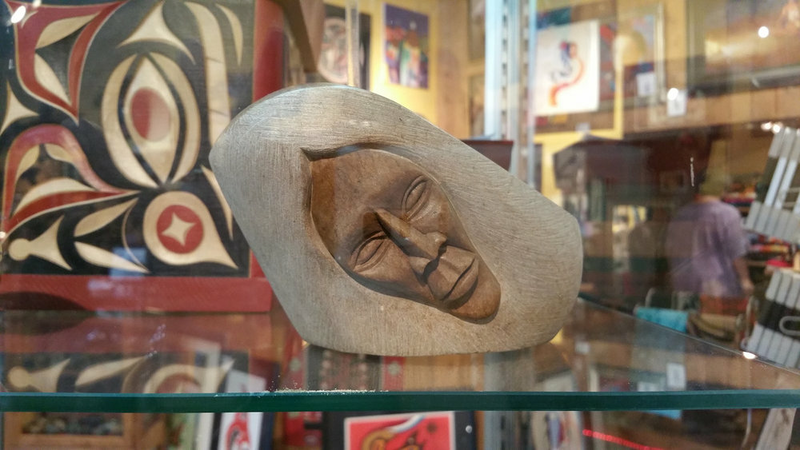 A 2010 review in the American Journal of Public Health analyzed hundreds of studies that took place between 1995 and 2007 and determined that there were positive outcomes for the use of art in promoting healing, health and well-being. The four major areas reviewed were music engagement, visual arts therapy, movement-based creative expression, and expressive writing. A 2013 study in the Journal of Science found that exposure to works of art, specifically the reading of literary fiction increases ToM (theory of mind/empathy).